As a new expat in 2005, I listened to the crackly Portuguese language radio station from Macau whose air waves barely wafted across the water to my Zhuhai, China apartment. I do not understand Portuguese and yet listening to the banter mixed with recognizable music from the West was my comfort blanket in those early months. I soon also developed the habit of spending weekend mornings crossing the border to Macau from Zhuhai in order to sit outside in Senado Square and drink coffee while reading English newspapers. I have a tender spot in my heart for Macau. Macau, a Portuguese colony until 1999 and now part of China under “one country, two systems,” is filled with gritty old world charm: romantic squares paved in wavy black and white stones; an ancient temple creeping up a hill and studded with wrinkled beggars; and lanes of old shop fronts filled with pungent drying fish. The major historic sites are kept fresh with bright paint, but other interesting corners of the territory are unkept, messy and heavy with forgotten dreams. 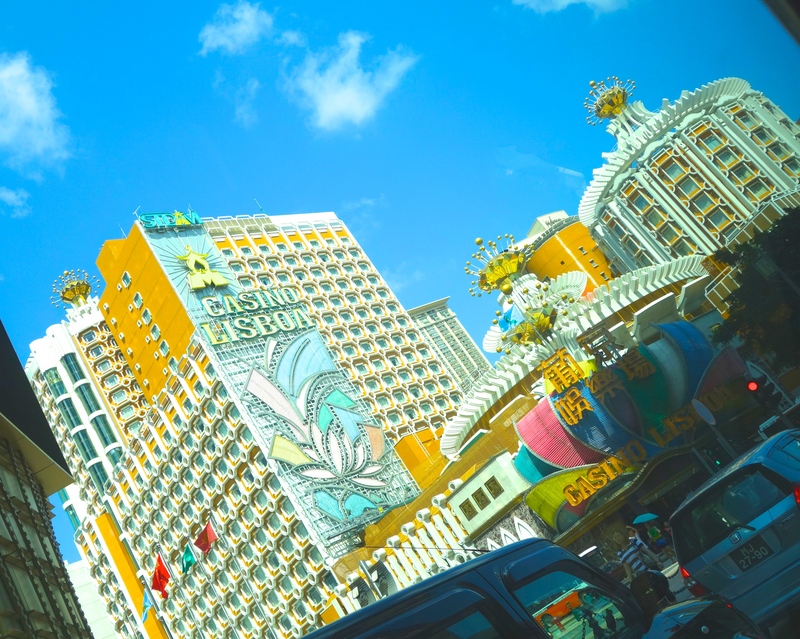 Macau is not all nostalgic charm; eye-sore casinos have made their mark. For decades Stanley Ho held a monopoly on the gambling business in Macau and the dated Casino Lisboa was the only show in town. Casino construction is never-ending and gambling revenues in Macau exceed Las Vegas by seven times. You certainly make one want to travel here! It’s a cool place. Certainly worth a few days if one is traveling to Hong Kong. I never knew such a place existed, to be honest. Fascinating to see how it operates within the confines of China, yet remains so free! Like Hong Kong, only with shorter buildings and a bit more vice. It’s a cool place and is only an hour long speed ferry away from Hong Kong. 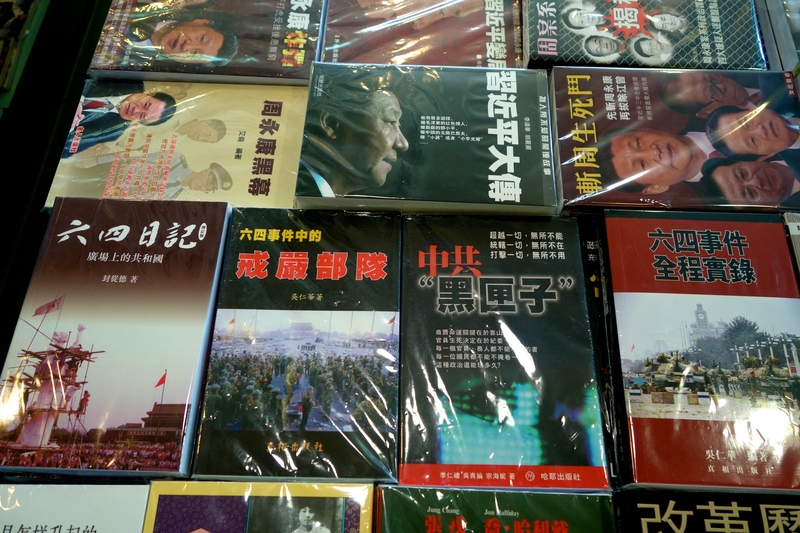 Yes, I’m sure Macau is facing the same pressures to conform as Hong Kong… Was interested to see, however, that table full of books for sale criticising the PRC government! Nine years ago I was constantly in a language jam in Macau as only Cantonese or Portuguese would do! Now lots of Mandarin and English is spoken. I’m sure the older Macanese would be happy to chat in Portuguese with you. Come over! They have cake. 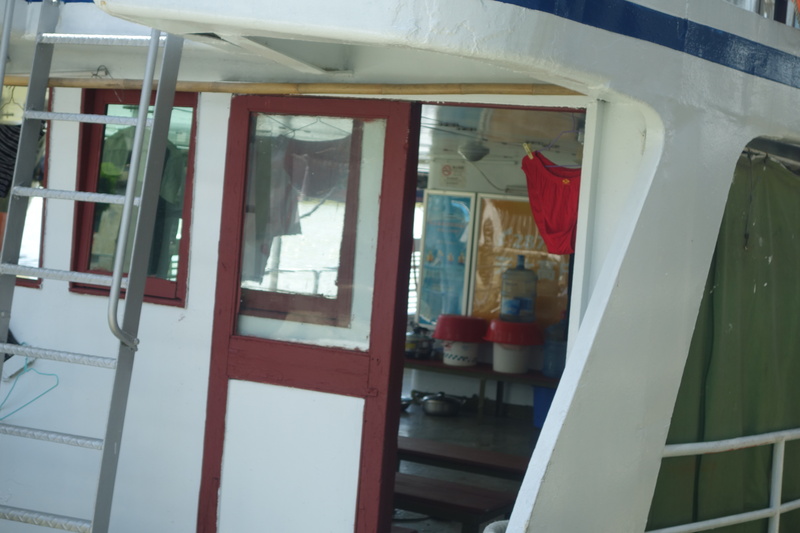 The Macau to Zhuhai ferry is often called “Wanzi Mato” from the Macau side. The journey takes 2 minutes and is thus much faster than waiting through the big lines at the Gong Bei crossing. Certainly makes me want to visit again! You wouldn’t want to this month! It was scorching hot. All of our walks around town where punctuated with stops for Frappucinos and ice cream. Still glad we went. True! I was there ten days ago and the heat and humidity was brutal! My hunch is that the red underwear is not for wearing by any unknown crew member but for warning off evils, a folk belief among some Cantonese. Interesting! I’ve never heard that before. Glad you mentioned it! I’ve only been to Macau once, a long time ago, and the chances of me remembering red underwear are pretty small, but you know I’m going to be thinking about it for the rest of the evening. Way to totally eclipse all the deep and worthwhile stuff you wrote about in this post. The red underwear is simply the icing on the cake. You’re perhaps right that the books on Tiananmen are rather a more important phenomenon, but the underwear (spotted for the hundredth time) required recognition. I hadn’t considered the lucky crossing angle! Nicer story that way. I’d previously spent 4 years thinking some crew member was just a great multi-tasker.